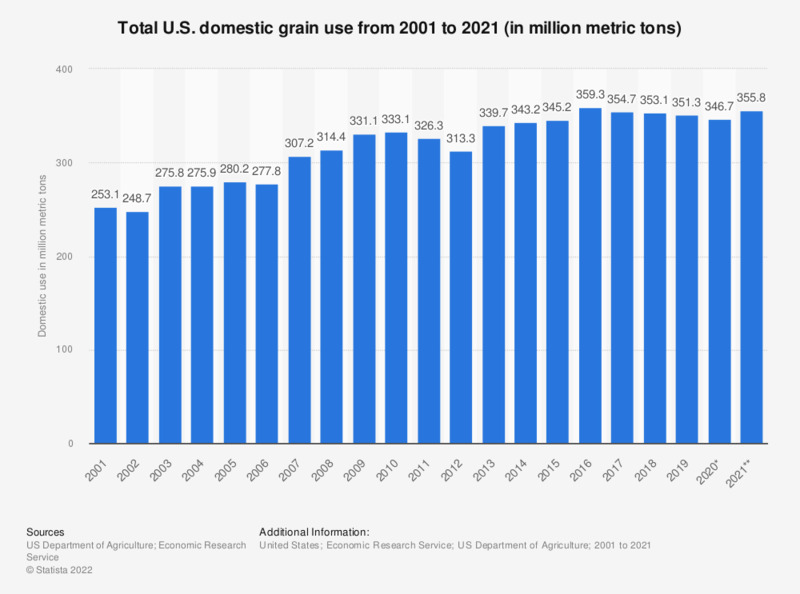 This statistic shows the total domestic use of grain in the United States from 2001 to 2018. According to the report, the total U.S. domestic use of grain amounted to approximately 358.1 million metric tons in 2017. Aggregate data on corn, sorghum, barley, oats, wheat, rye, and rice. This statistic was assembled from several USDA and IGC annual statistics reports.